‘Building Sustainable Landscapes through Gender-Responsive Restoration in Brazil’ is a collaborative effort produced by the International Union for Conservation of Nature’s (IUCN) Global Gender Office and Global Forest and Climate Change Programme. 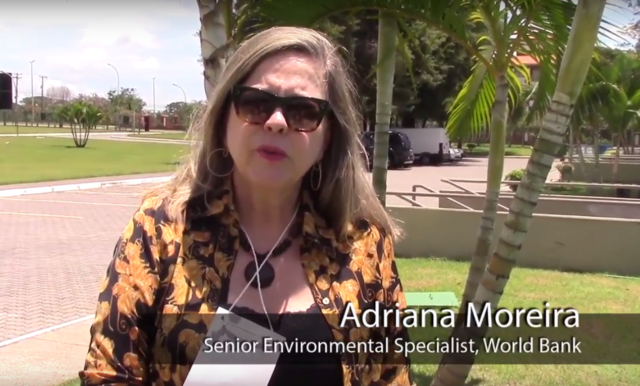 The video showcases the importance of women’s equitable participation and representation in Forest Landscape Restoration (FLR) in Brazil via a series of capacity-building sessions and interviews conducted in March 2016. IUCN has captured important voices in relation to natural resource use and management, and continues to do so – documenting and sharing knowledge and lessons learned to help others inform their work. For more information about IUCN’s FLR work please visit http://www.iucn.org/flr.